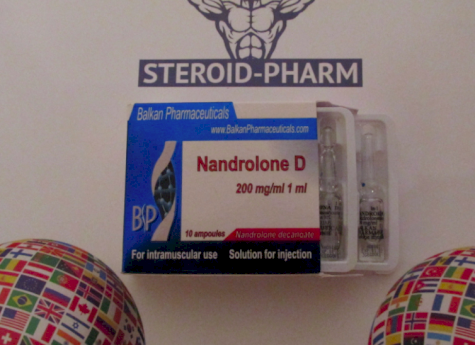 Nandrolon D is an active composition of the injectable anabolic steroid nandrolone decanoate, which is one of the most popular and highly effective steroids. It is a derivative of nandrolone with a strong anabolic effect and minimal risk of negative effects. 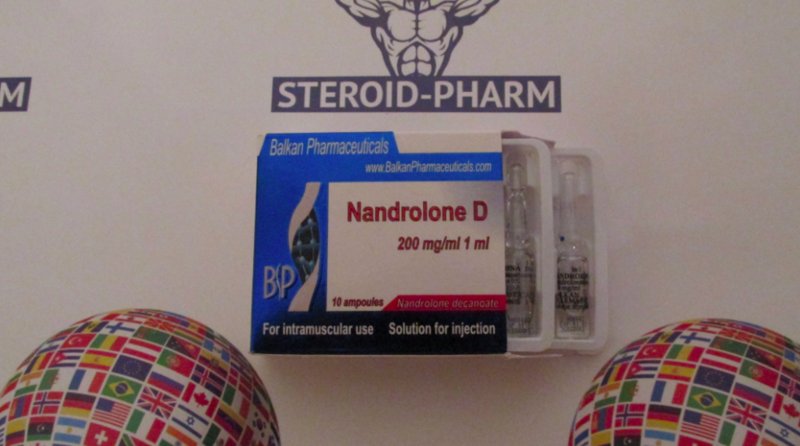 Nandrolone Decanoate created by Balkan Pharmaceuticals has achieved the title of the most qualitative drug for the gain of muscle mass and the development of phenomenal strength. Nandrolone Decanoate has a stronger anabolic effect in comparison with the testosterone. The anabolic index of Nandrolone equals 125%, while testosterone has index of only 100%. The positive side of Nandrolone D is in a very low androgenic rating, that almost completely eliminates the possibility of aromatization in estrogen. It happens due to the fact that Nandrolone is able to convert to dihydrotestosterone, which has a weak androgenic activity. The enzyme which is responsible for the conversion of androgens to estrogens is equal to only 20% of testosterone. Another important factor is that it can perform its conversion to estrogen in the liver, as well as in other places where there is a high rate of estrogens conversion (for example fat). Nevertheless, Nandrolone is a progestin that raises various issues. Athletes and bodybuilders in the most cases use Nandrolone D as the main component of any course for gaining the mass. 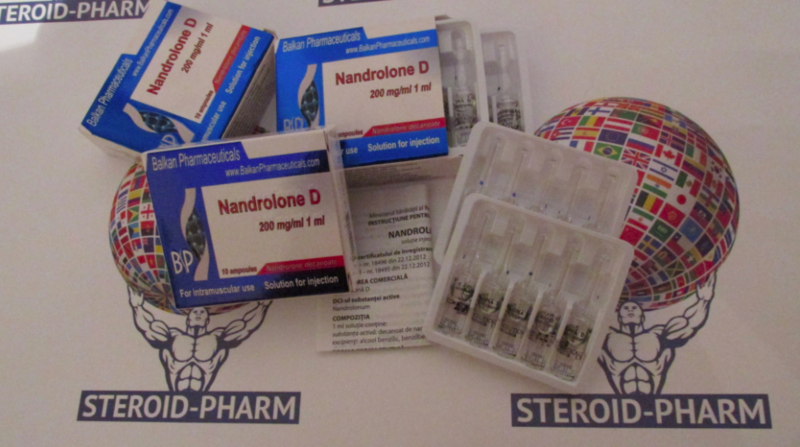 Nandrolone D does not apply to those anabolic steroids that bring you the result in the shortest time period. The result and efficiency of such medications are very noticeable, but during not very long period of time. At the same time the slow start and light character of the Nandrolone D make it more suitable for courses that are aimed on the result which will last during much longer period of time. The main effect of Nandrolone is an increase in muscle mass of up to 12 kg per course. With this drug, the mass gain is achieved slowly, but confidently and smoothly with little fluid retention. The course of Nandrolone practically does not have the phenomenon of recoil, so the collected mass can be preserved for a long time after discontinuation of reception, regardless of whether you accept PCT or not. The price of Nandrolone Decanoate is relatively high, but it is fully explained its ability to give you a pure muscle mass, strength andperfect health condition that will stay with you for a long time. The usual weekly dosage of Nandrolone D varies between 200-600 mg. It is important to remember that the ether decanoate ‘is switched on’ for a long time, so it is not necessary to take the maximum doses at the initial stage of the course, it is better to start from small dosages and gradually increase them. It should be remembered that Nandrolone D is able to limit the production of natural testosterone, so it is always recommended to combine Nandrolone and Testosterone together during the course. Take into account that fake drugs or inappropriate using of the drug will not only worsen the current situation, but also can lead to irreparable problems with your health. We recommend you to make your orders only at reliable websites which has a direct connection with the manufacturer and be stick to recommended dosage in order to avoid various problems.